Our model train wrecks shed is a sad place, made for Modelling Heroes who bring life back to fallen steam locos, or rusty diesel engines. Take a look through our selection of Train Wrecks and see what un-polished gems you can find. 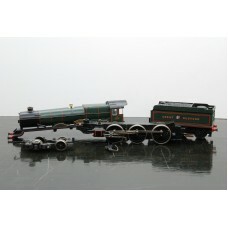 This spares or repair item is a Hornby R2544 GWR King George 1 steam locomotive in OO gauge, numbere..